4x4 tyres tend to be able to cope with all surfaces, offering refined and comfortable performance on the road and when drivers venture into fields and down muddy tracks. 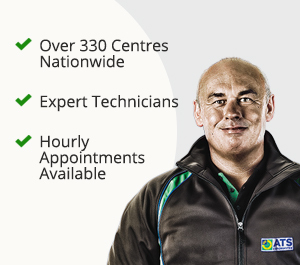 At ATS Euromaster we offer a wide variety of 4x4 and SUV tyres for your vehicle, whatever you drive and wherever you are so you can keep your car going whether you're travelling along the road or off it! 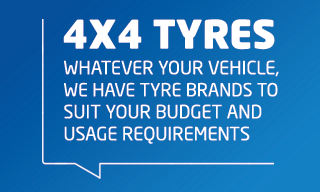 Because 4x4 tyres are available in a number of different forms including on-road, off-road, mud and all terrain, we recommend fitting four of the same type and brand tyres to your car to ensure maximum effectiveness whatever you use your car for. Brand new patterns fitted to 4X4 models vary greatly, with some designed to be used solely on the roads, some used for off-roading and others that offer high levels of performance and handling in all conditions. These tyres tend to be able to cope with all surfaces, offering refined and comfortable performance on the road and when drivers venture into fields and down muddy tracks.